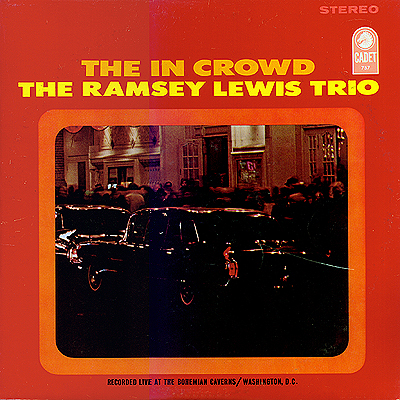 Notes: Ramsey had a hit with this title tune and it helped solidify his place betweeen the jazz and soul world. 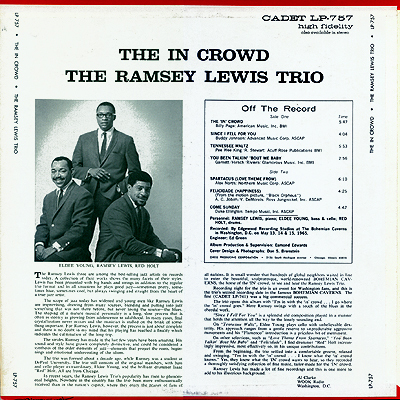 Always with a light touch and never forgetting that the music is supposed to be fun, the Trio rolls through these tunes and makes them their own. you always know when it's Ramsey on the turntable. From the front cover photo it is obvious that the "In Crowd" frequents the uppper echelon and sports a mighty fine ride as well. Good times Ramsey, good times. Recorded May 13 - 15, 1965: The Bohemian Gardens in Washington D.C.